February is the month of love and its 14th day is the day to express love in its full fledged form. It is the day when everyone tries their best to impress their ‘special ones’ in the most special ways. Valentine’s Day, a name given to 14th February is a day when love is celebrated. It has now become a ritual in almost every country and India is no exception to it. Every relationship commences with love and to symbolize that feeling, a person presents a souvenir to his or her lover. It is a mere expression or gesture to convey the deepest love and fondness that one has for another. Whether it is a single regal red Rose or a pretty petite Pendant, every single step is taken to assure that the person of dreams is sparkled with every pinch of happy colors. Thus to find such mesmerizing gifts the hunt begins more or less weeks before Valentine’s Day. People hop from places to places, one shop to another in search for the most appropriate gift to impress their love. But sometimes the best seems out of their budget. To ease this task of hunting and provide better presents at lesser costs, the technology has brought forward a boon for us in the form of Online Shopping Sites. Just one click on the link and you will be directed through lanes of breathtaking products under a single roof. They offer you top quality products at affordable prices to meet your need. Even if you are miles away from them, whatever you choose will be promptly delivered at their doorsteps and ultimately to the core of their heart. You can make their day special by clinging near to their heart a beautiful piece of Jewellery or make them look like a royal by gifting Apparels. 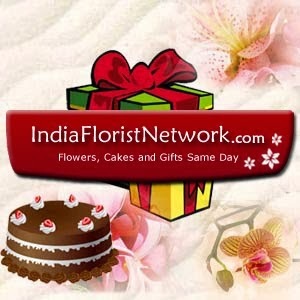 The websites bring you a million options to choose from such Cakes, Chocolates, Flowers, Assorted Gifts, Teddy bears and lots more. They also make special deliveries at midnight to surprise your lover and make them dream only about you. Now you can connect to your partner staying at any part of India through the magical network of online shopping portals and you do not have to worry anymore as their charming spell of breathtaking gifts will do rest of the talking. Integrate the deepest feelings of your heart into your presents to knock the door of your beloved’s heart. Make them feel as if they mean the whole world to you. Treat them as they have never been treated before. Let your Valentine relish the symbol of your love. Make all these possible just by logging into the shopping websites and select the product keeping in mind the preferences and choices of your special ones. The rest becomes a cute memorable love story.